Monthly Update: We Have Moved! After seven years as guests of North Oaks Church of Christ we needed to pack up and find a new home for our Resource Center. What an adventure! The Resource Center is our office and the place where our families come for case management, computer access for job search and homework, storage for supplies of all kinds ranging from diapers to deodorant and access to showers and laundry facilities. 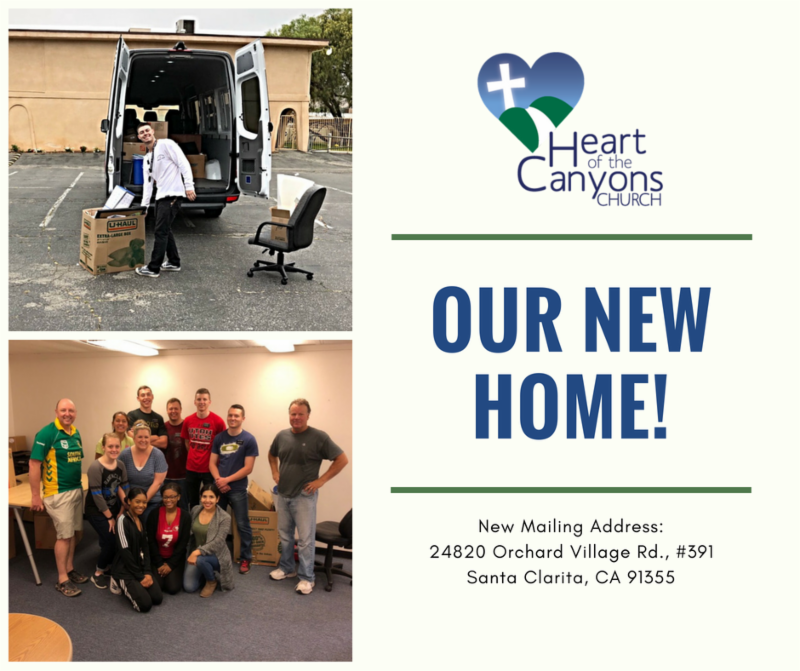 After hearing of our need we received an invitation from the amazing folks at Heart of the Canyons Church to set up our center in a portable building on their campus in Newhall. Portable showers are being provided on-site six days a week by by Real Life Church and our friends at Valencia United Methodist Church are making their shower available once a week. Teamwork! We have had amazing volunteers come to help us pack, move, unpack and set up our new space. We truly appreciate our generous hosts at North Oaks and the many years we spent on their campus. And we cannot say enough about the hearts of gold and Heart of the Canyons! We have been blessed twice over! 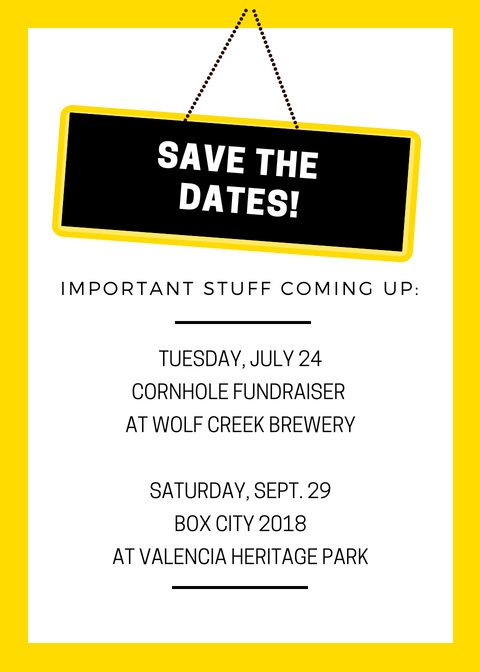 Our goal is to find a piece of land in Santa Clarita where we can build a permanent facility to provide services for our local homeless children and their families. We are working closely with local officials and developers to make this dream a reality. In the meantime we continue to partner with our community and our many supporters to make a difference for homeless families 365-days a year. This is one of the most common questions we hear! 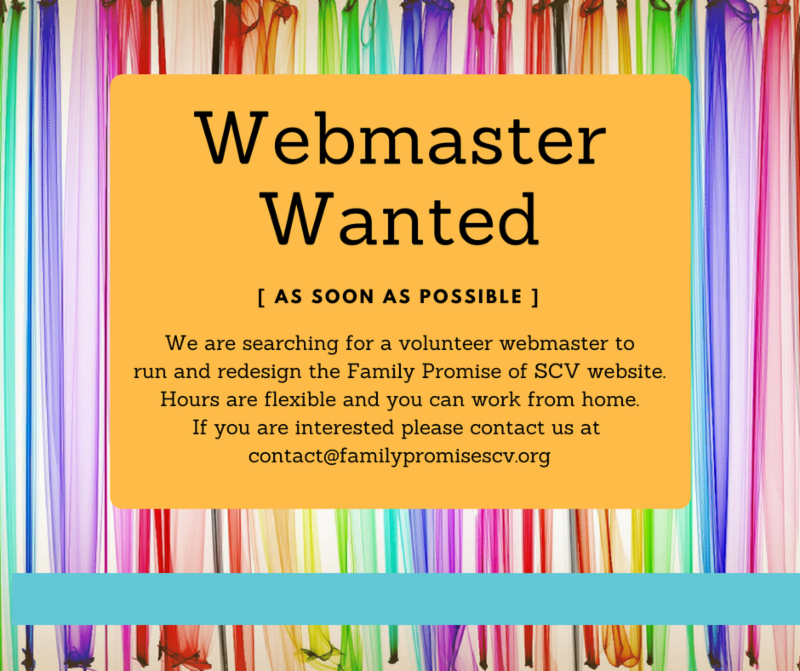 There are many different volunteer opportunities with Family Promise. 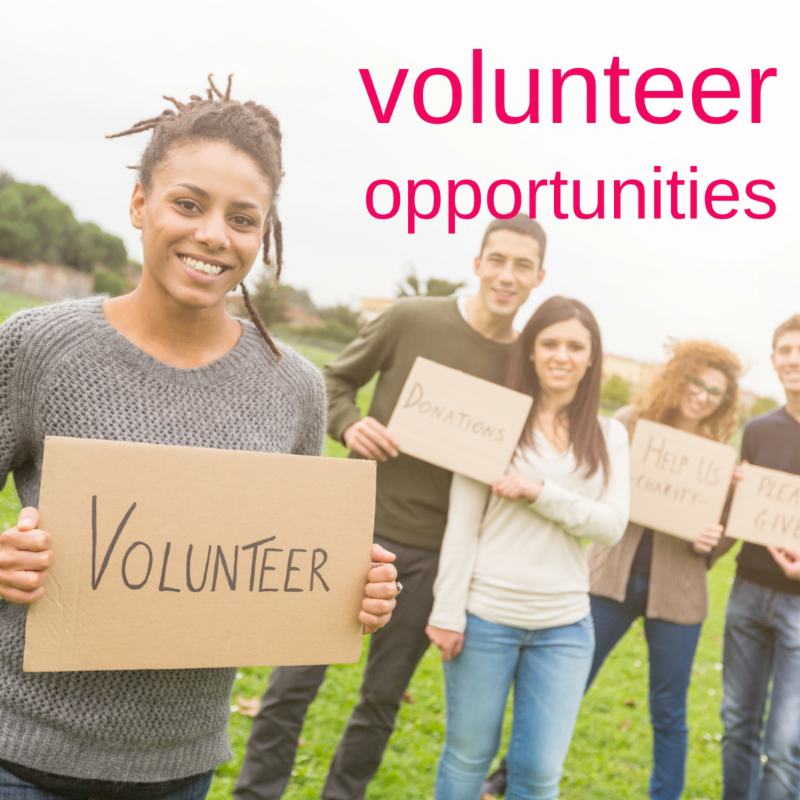 Office Volunteer: Help with answering the phones, organizing our office space and assisting our families. Computer Assistance: We always need help addressing computer and software issues...even helping our families with computer literacy. Grant Writing Team: Be a part of our team and help research and write grants for Family Promise. Saturday Volunteers: Needed every week with various jobs at our resource center. You can sign up for Saturdays here. Youth are welcome to volunteer as long as they have a parent or other adult with them. For more info about how to get involved please contact us! Saying goodbye to our families when they graduate can be hard. The Davis family holds a special place in our hearts and we wish them the best as they move into transitional housing and a successful future. We wanted to share the message that dad left with us. The work YOU do as part of Family Promise is truly a blessing. 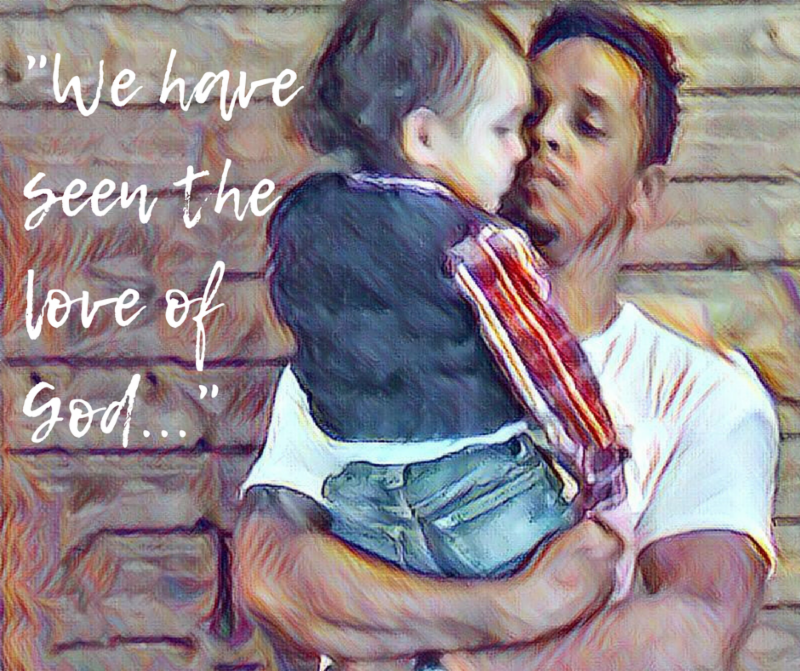 When Family Promise connects with homeless children and their families we are able to offer them an opportunity to make a 180 degree turn in their lives. We offer HOPE, plain and simple. 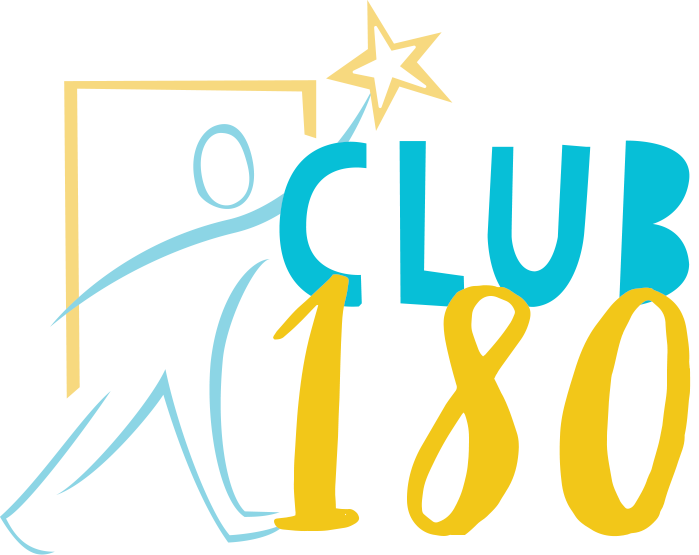 Would you consider being a part of this incredible change by becoming a member of Club 180? Your annual donation of $180 (annually, quarterly or monthly) helps us provide a hand up to those in our community who need us most.